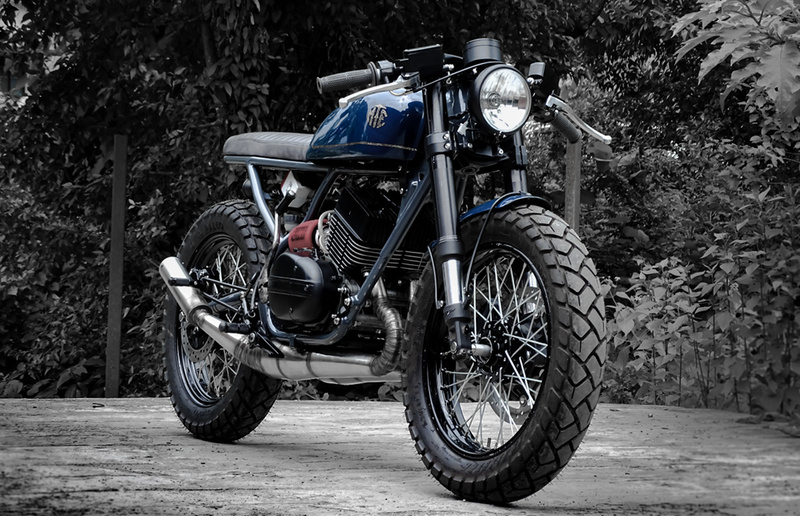 Two-stroke cafe racer from the foot of the Himalayas! 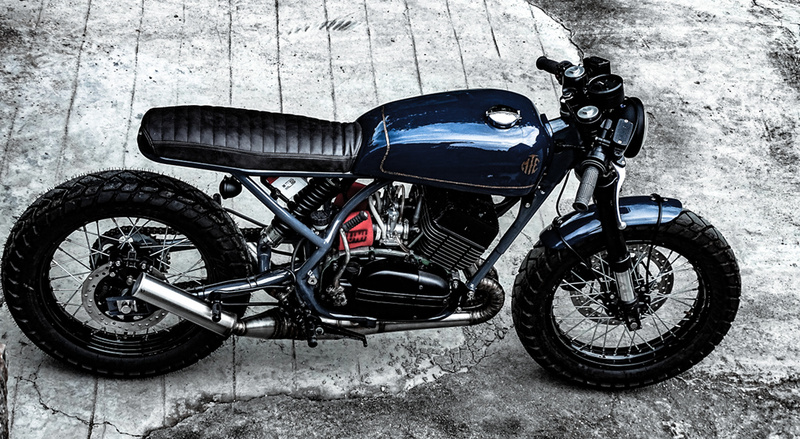 Arjun Raina of India’s Moto Exotica, set in the foothills of the Himalayan Mountains, has made a name for himself building Yamaha RD350 customs. In fact, Moto Exotic became one of our favorite workshops anywhere in the world with their stunning Yamaha RD350 scrambler — one of the most popular bikes we’ve ever featured. 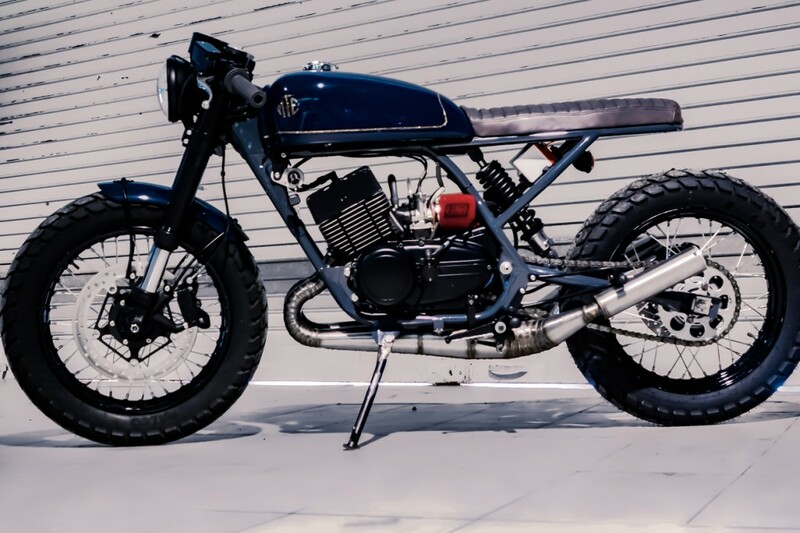 Now Arjun and crew is back with another Yamaha RD350 two-stroke custom — this time, it’s a bike resurrected from years rotting in a pool of rusty water. 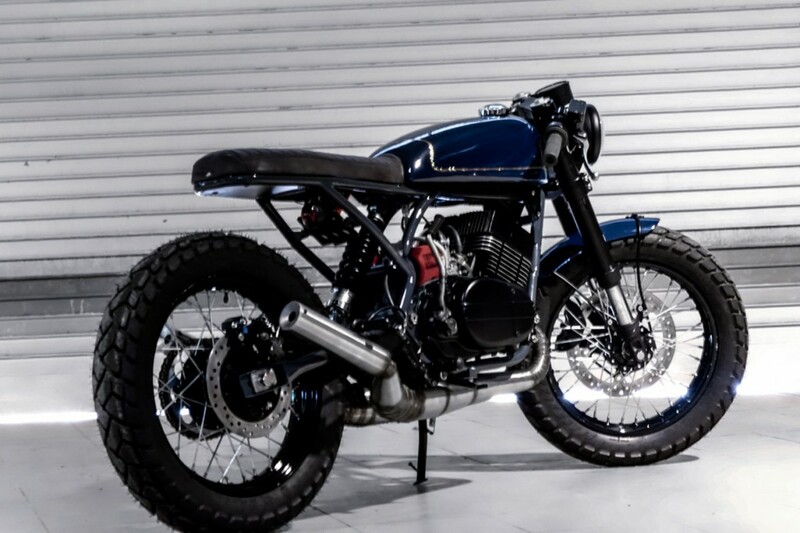 Moto Exotic turned the “heap of metal scrap” into a “straightforward, honest cafe racer” with a minimal styling and a focus on performance — inverted front suspension, rear monoshock, new engine with digital ignition, and more. 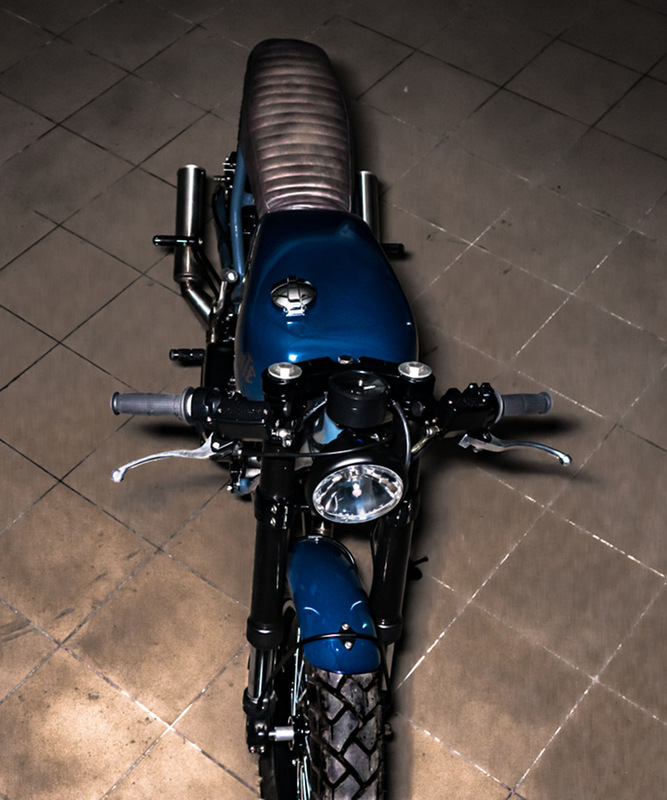 Below, we get the full story on this two-stroke brat cafe from the foot of the Himalayas! 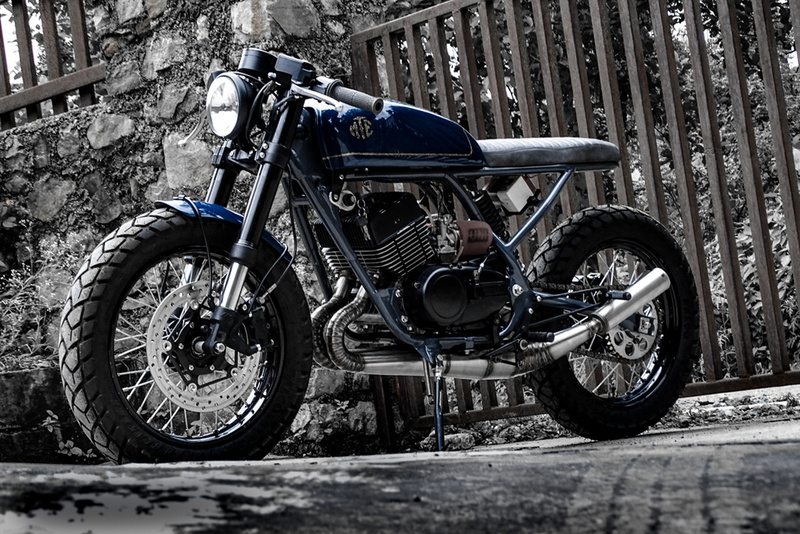 It’s been over five years we started to build RD350 customs. We are a very small family — all of us multitask and strive to excel with each project. the focus remains on fast, performance-oriented builds. 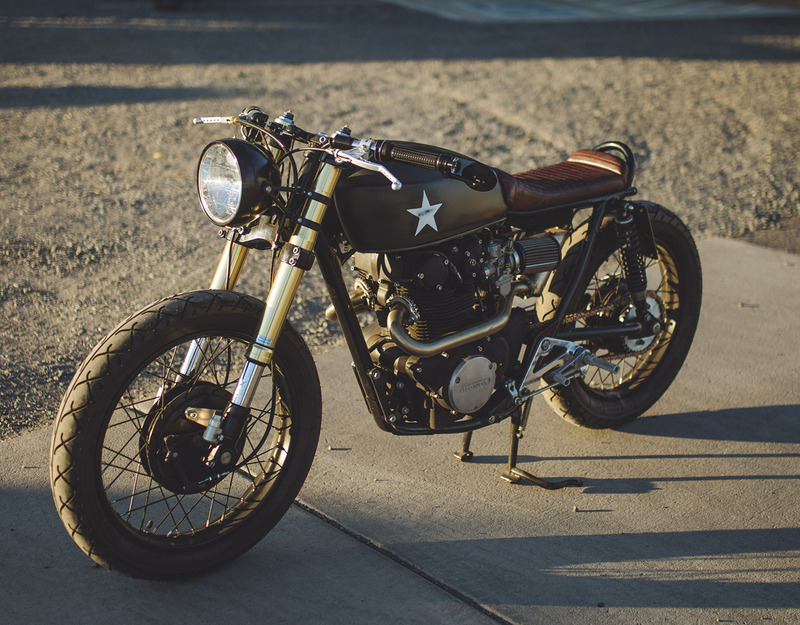 This particular example is the first of the three bikes that are expected to roll out in the next two months — the minimal styling is well complemented by a strong, newly built motor. Yamaha RD350, first produced in 1973. 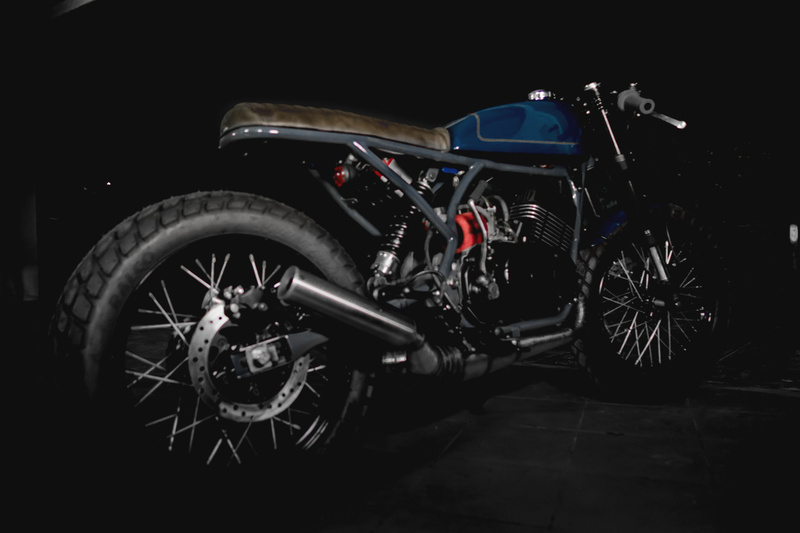 We wanted to create a straightforward honest cafe racer, without a lot of fancy parts, she is indeed beautiful. Redesign of the rear chassis, inverted WP front suspension, rear showa monoshock, floating front disc brake and added a rear disk brake, runs a brand new motor, modern digital ignition, did I mention a custom tank? Yes, when this bike arrived, the chassis had the complete engine cradle rotted, the crank had been in a pool of water for years, and a lot motor parts were missing, to make matters worse. This project is a revival, as otherwise it was a heap of metal scrap. 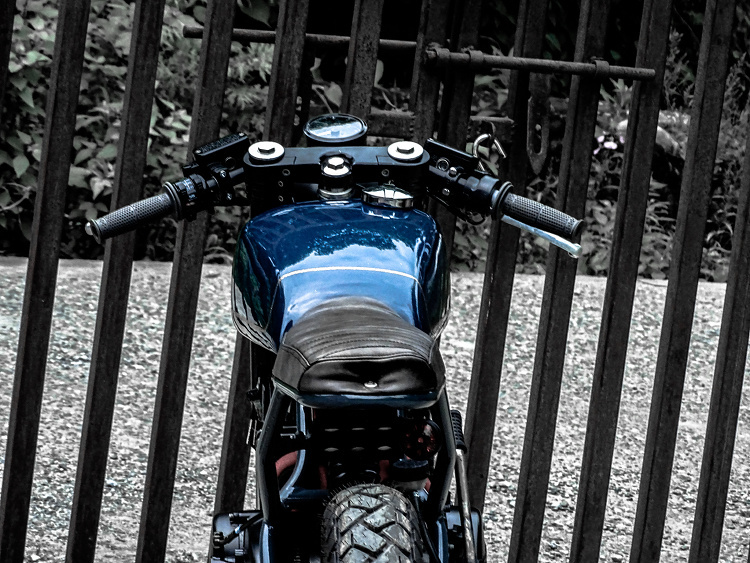 hey there great build – front is stunning but sorry to say this, the seat kills the whole thing – ever considered a low tapered seat with a cowl (old brit or early jap racer style?) would lift the whole thing. but after that Pipes are awesome and where do you get all the bits to rebuild the motors – had 3×350’s and 2x 400 rds back in the UK – even put a TZ350 with LC barrels on the road once! Can we purchase this bike it looks awesome and the seat is not good. I’ve seen a lot of customs with that style of seat. I don’t get it. I’ve tried to get it. I’m sure it wouldn’t be a big job to fit something more functional that would make this perfect. 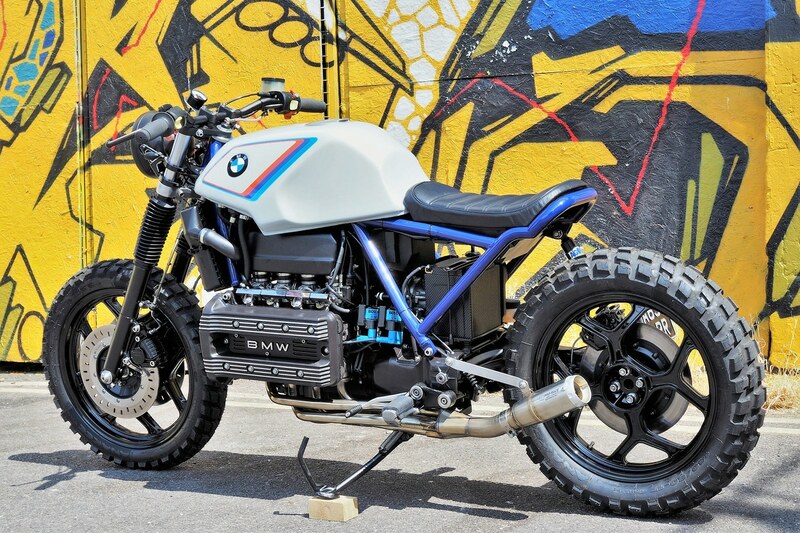 IMO needs proper street tires as the tracker tires don’t really go with that close fitting front fender.